← There Is No ONE Way To Do It! Remember to turn your clocks, watches, and anything else with time on it forward one hour TONITE (March 12th) night before you go to bed!!! 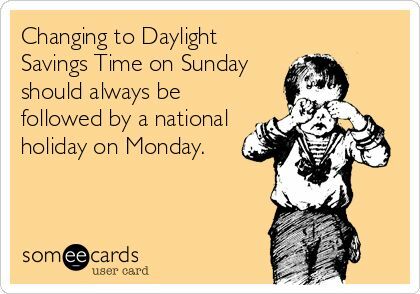 Daylight savings time starts early March 13th! Most phones switch over automatically. If they don’t try restarting your phone or check you DATE/TIME settings. I don’t like losing an hour! I need all of them! LOL!